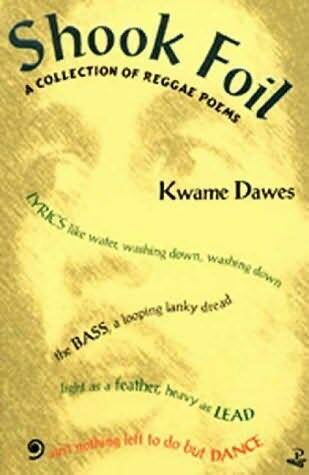 Kwame Dawes's poetry rises to new heights in these psalms of confession and celebrations of reggae's power to prophesy, to seek after righteousness and seduce the body and mind. Here is poetry walking the bassline, which darts sweetly around the rigid lick of the rhythm guitar yet expresses all the sadness and alienation at the heart of reggae. This, for Dawes, is the earth which 'never tells me my true home' and where behind every chekeh of the guitar there is the ancestral memory of the whip's crack. Shook Foil dramatises the conflict between the purity of essences and the taints of the actual, not least in the poems which focus on Bob Marley's life. Here is the rhygin, word-weaving prophet and the philanderer with the desperate hunger for yard pumpum, the revealer of truths and the buffalo soldier who has married yard with show biz affluence. Above all there is the intense sadness of Marley's death, for how can one live without the duppy conqueror's defiant wail in an island gone dark for the passing of his song? But for Shook Foil there is always the gospeller's hope that the dead will rise from dub ruins and patch a new quilt of sound for the feet to prance on. And when the high hat shimmering and the bass drum thumping, what else to do but dance?